Neff school certificates are among the most exceptional school awards to rewarding student achievement. 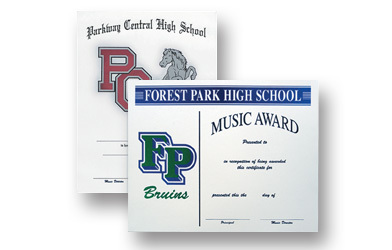 With an extensive library of customizable templates, a variety of available paper stocks and sizes?plus options like raised ink and digital graphics?you can be sure that we will design the perfect school certificate for any activity or honor. Our superior quality digital certificates feature full-color, high resolution graphics printed on super gloss coated white cardstock. 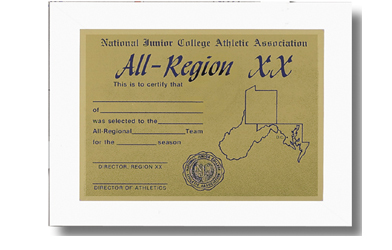 Colorful graphics, combined with gold or silver foil for a classy, time-tested look, make up our screened certificates. Traditionally printed offset, stock certificates come in a wide range of paper stocks and include your choice of raised or flat ink. Distinguished by high-quality custom foiling and embossing, custom foil certificates are in a class of their own. 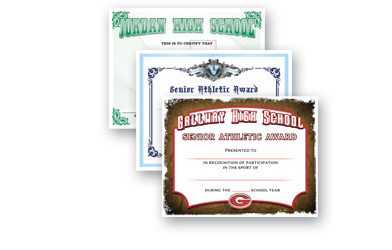 In addition to a vast selection of high-quality, high-resolution school certificates, we also have all of the accessories you need ot put that finishing touch on your paper awards. 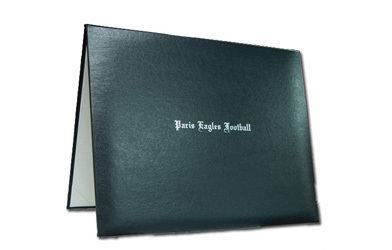 Choose from certificate covers, including flexhide certificate folders, deluxe padded leatherette folders or certificate presentation folders, or school certificate frames so students can hang their accomplishments on the wall. Don't see what you're looking for? Take a look at our full collection of custom school awards!